Racheal Prince was raised in Wasaga Beach, ON and received her early training at the Quinte Ballet School under the direction of Brian Scott. She attended the School of Alberta Ballet’s Pre Professional Program with Murray and Nancy Kilgour and received the prestigious Ali Pourfarrokh scholarship. Racheal began her professional career with the Alberta Ballet Company where she danced for four years. She is now in her fourth season with Ballet BC. She has performed works by William Forsythe, Crystal Pite, Itzik Galili, and Lar Lubovitch amongst many others. Her performance highlights include George Balanchine’s Who Cares?, Rubies, and Serenade, also Emily Molnar’s Dedica, Domani in Twyla Tharp’s Nine Sinatra Songs and Donalds Sales’ Long Story Short. In 2009 Racheal performed with Avi Scher and Dancers in New York and at Jacob’s Pillow. She received outstanding reviews for her role in acclaimed choreographer Val Caniparoli’s Aquilarco. 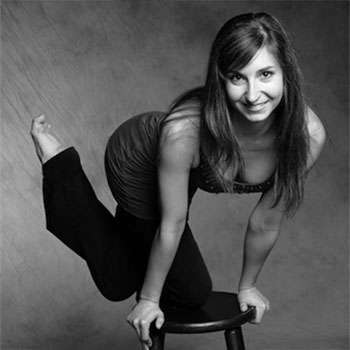 Racheal Is exhilerated to be working with so many wonderful choreographers for this upcoming season.